Thanks to a very popular competition run by the band and their label Dark Essence Records, fans of Sweden’s “Alfapokalyptic Rockers” ALFAHANNE will all be aware by now that the band who managed to attract the likes of TAAKE’s Hoest, SHINING’s Niklas Kvarforth and HELHEIM’s V’gandr to guest on their debut album, have managed to pull some more significant guests out of the hat for their upcoming sophomore full-length album “Blod Eld Alfa”, which is scheduled for release on the 11th September. Joining them this time out will be KVELERTAK frontman Erlend Hjelvik, Spellgoth from HORNA and TURMION KÄTILÖT, and Nattfursth from SORHIN. SHINING’s Niklas Kvarforth, with whom ALFAHANNE has a history of collaboration, also makes a return appearance. 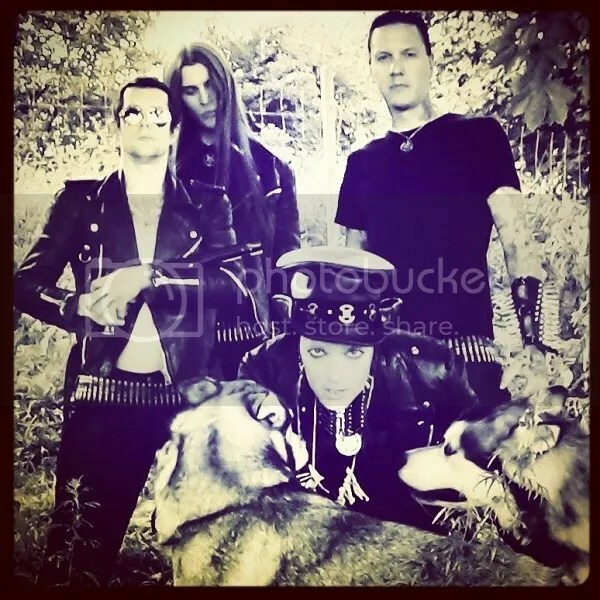 The nine-track “Blod Eld Alfa” was mastered by ENSLAVED’s Herbrand Larsen at Bergen’s Earshot Studios, and features ALFAHANNE’s trademark high-energy mix of Black Metal, Punk, Classic Rock and New Wave – elements that combine together to create a unique sound full of the swagger and attitude that makes the band such a success both in the studio and on the stage. 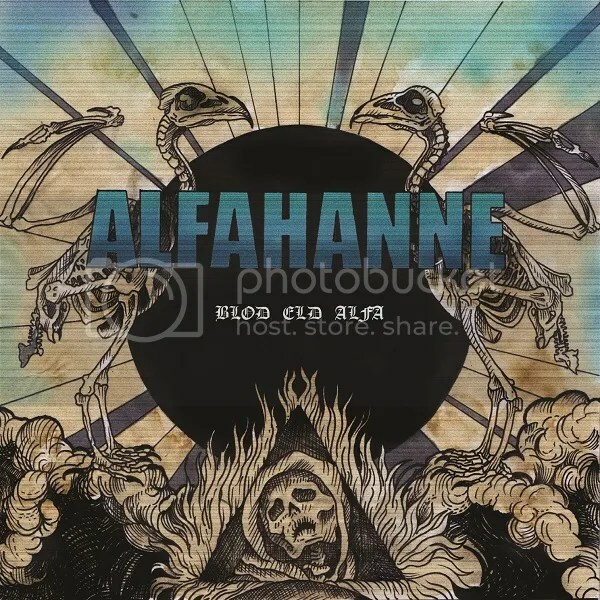 ALFAHANNE was formed in 2010 in Eskilstuna, Sweden, and its lineup of Pehr Skjoldhammer on Vocals and Guitar, Fredrik Sööberg on Guitars, Niklas Åström on Drums and Jimmy Wiberg on Bass, have a couple of decades of experience under their belts in bands like VINTERLAND and early MAZE OF TORMENT. Their debut full-length album “Alfapokalyps”, which appeared on Dark Essence Records in 2014, instantly brought the band to the attention of audiences the world-over who were impressed not just by the band’s energy, but also with their approachability and genuine interest in their fans.